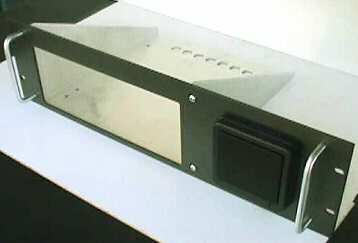 Installation of most radios into rack mounts will require removal of the bottom feet and wire bail (if there is one) and side hardware, such as feet or carry handle. The screws used for the feet can then be used to secure the radio to the tray. 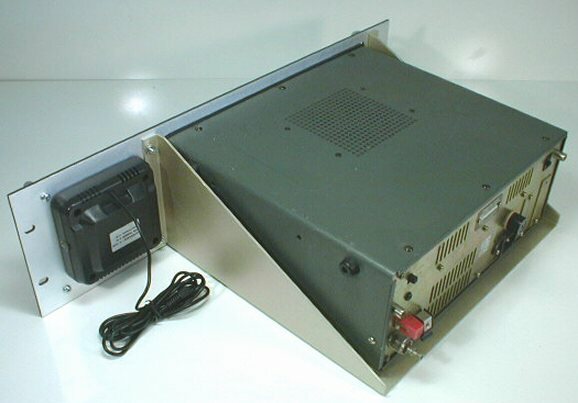 The rack trays have holes in the bottom that are designed to line up with the foot mounting holes on the radio. Our racks come standard with a an aluminum bracket which goes over the top of the radios in the rack, and secures the radios to the shelf. 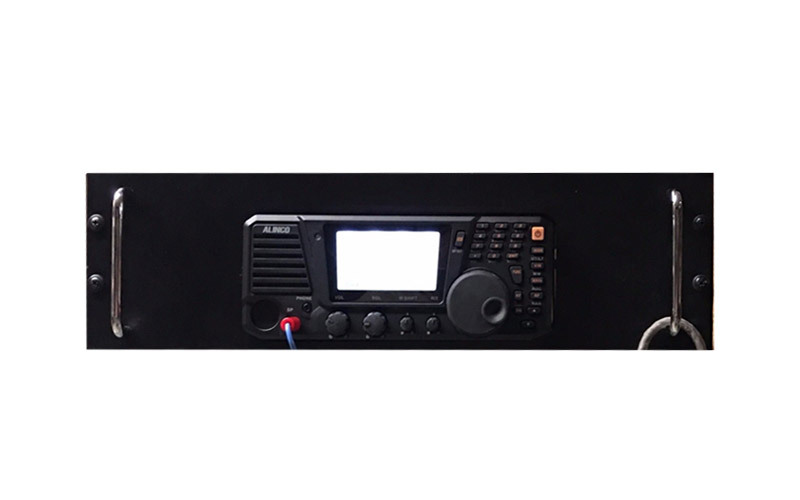 Most racks are designed so that the the radios protrude slightly through the panel, giving the appearance that the bezel of the radio is mounted to the panel.